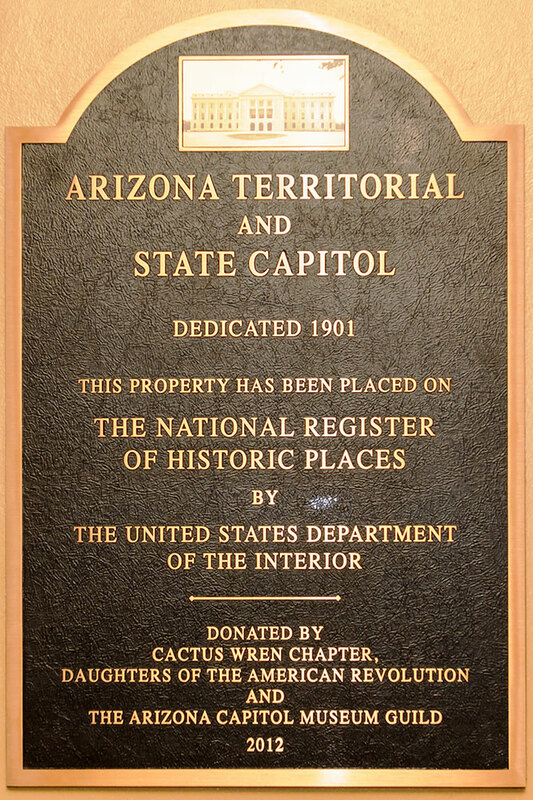 The Arizona Capitol Museum serves as a symbol of Arizona’s rich and colorful history. It preserves, educates, and makes accessible Arizona’s political, social, cultural, environmental, and economic history. Through its priceless collections and partnerships, the Museum hosts speakers’ series and events, invites public and private stakeholders, and engages the public with the goal of improving our visitors’ understanding of this distinct region. The museum features four floors, more than 20 exhibition areas, and a store showcasing some of Arizona’s finest products. Admission is free. A donation of $1.00 - $5.00 per person appreciated; all donations go toward funding museum exhibits, education and programs. Café Arizona, proudly serving Starbucks is the perfect place to enjoy a break. Free Wi-Fi and Capitol Television brought to you by the Arizona Secretary of State, Katie Hobbs, provide a comprehensive experience at the Arizona Capitol Museum. Free parking is available in the Wesley Bolin Plaza, east of the Museum. Parking lots are accessible by heading west on Adams Street towards 17th Avenue, or east on Jefferson Street towards 15th Avenue. 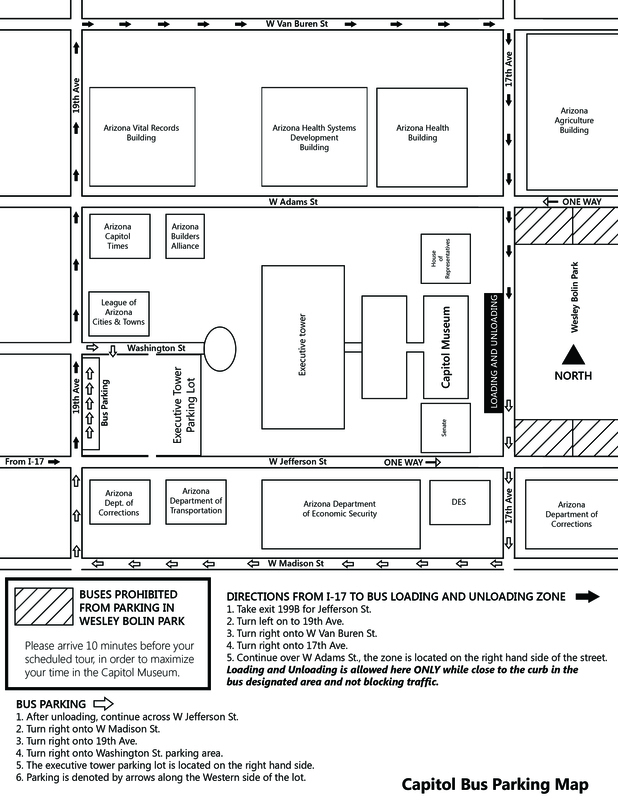 Bus parking, and additional free parking, is available in the Executive Tower parking lot along 19th Avenue between Adams and Jefferson streets. The Wesley Bolin Plaza is a park located in front of the Arizona Capitol Complex featuring memorials honoring prominent figures and events in Arizona history. Visitors are welcome to eat lunch and explore the memorials. 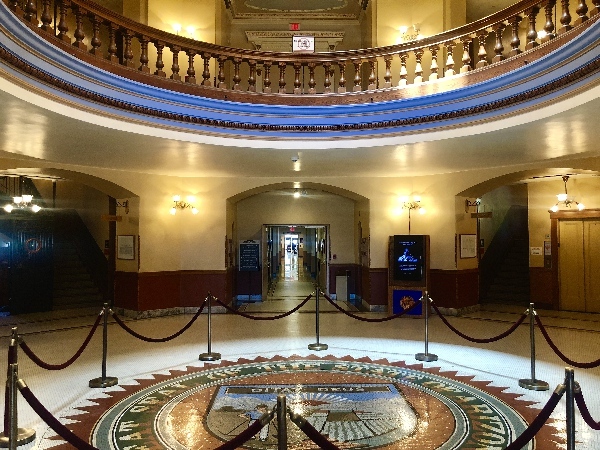 The Arizona Legislature meets in chambers adjacent to the Historic Capitol Building beginning in January. For more information, call 602-926-3620.